"What if a new type of home therapy could offer brain stimulation and flexibility to ensure a more efficient and enjoyable stroke rehabilitation?" Together with ABB Coprate Research we spent 7 weeks developing the future of collaborative robotics. Focus has been on exploring human-product interaction and interactive prototyping. 15 million people worldwide suffer a stroke each year. Immediate, extensive and correct rehabilitation is crucial to fully recover and therapy start within 24 hours to begin the process of re-connecting brain cells. Overcoming stroke requires tremendous effort and engagement. Major challenges arrive when you return back home. It is then solely up to you to keep pushing yourself to improve. At this point many patients begin to feel a lack of motivation, knowledge and feedback previously received at the rehabilitation center. WIM is a new type of interactive stroke therapy challenging the traditional way of rehabilitation by empowering and supporting a patient’s recovery in the comfort of their own home. It is a non-stigmatizing training kit aimed to improve fine motor skills prescribed by the therapist. WIM turns rehabilitation into gamified therapy. Through tiny electrodes on the inner side, the armband can detect electrical muscle activity and evaluate it in a process called electromyography (EMG). This enables WIM to create a new type of personalised therapy constantly changing exercises and adapting to the current level of the patient. WIM wants the user to find and tap lights as they appear, creating a new type of interactive gamified therapy. The use of light, sound and vibration as guidance stimulates all senses and forces the patient to twist, turn and focus without even thinking about it. WIM offer flexibility and freedom of mobility to patients and enables them to reach their goals and fully recover in the comfort of their own home. The use of materials and color allows WIM to be a discreet piece visually blending in to your home environment. The fabric made armband is comfortable and easy to wear underneath clothing. In combination with WIM’s personality it is a therapy device to be proud of. During our initial research phase we learned that computer enabled rehab robots can easily help to carry out repetitive tasks. We saw this as an inspiration with potential for the rehabilitation environment. To really understand the challenges within specifically stroke rehabilitation we got in contact with multiple experts and kept a continuous discussion and involvement throughout the project to ensure a relevant and impactful solution. 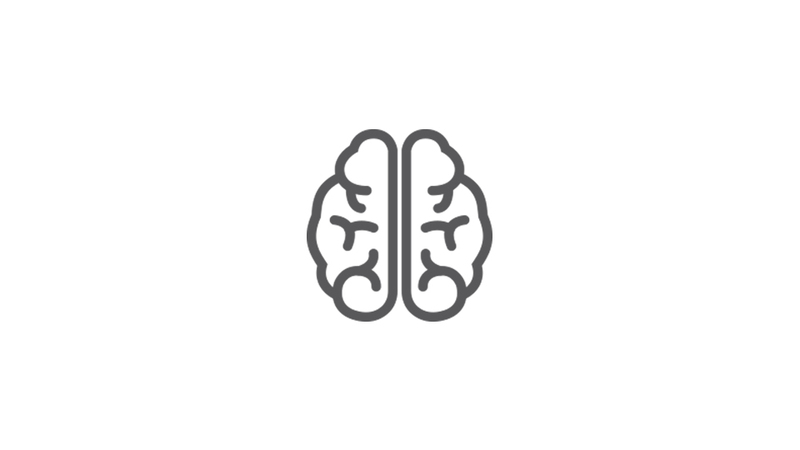 Challenging the brain is crucial to reconnect the brain and reach full recovery, both physical and mentally. Research show that short & frequent session every awake hour is most beneficial for stroke recovery. Continuously pushing your limit is crucial to reach your goals and fully recover . Muscles are not the only thing affected by the stroke. Vision, memory and haptics might also be affected. Robots used in rehabilitation today are focusing on the muscles not the brain, leading to compensation. 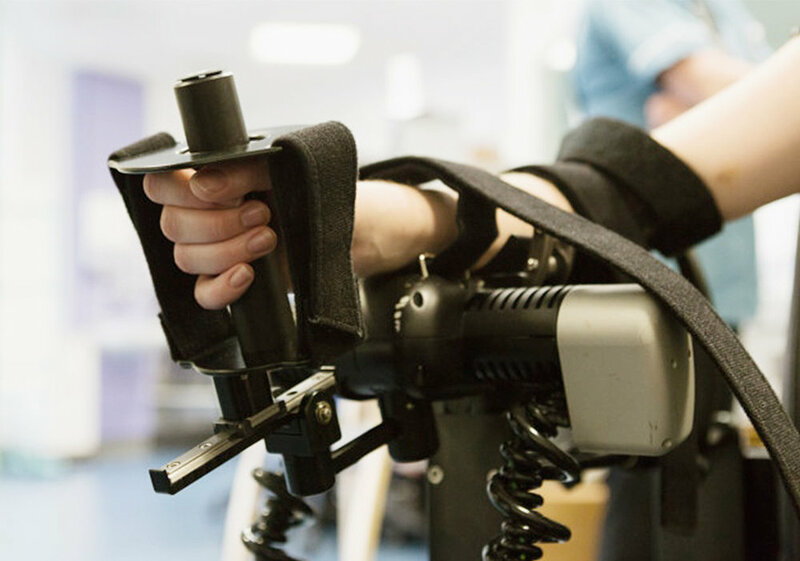 The tools available for upper limb rehabilitation today do not facilitate the needs for a successful recovery such as adaptability and brain activity. Instead they limit the patients to the rehab centers due to size and technology, do not offer creative thinking or challenge the patients enough. We spend a lot of time to address the sensory experience and characteristic behaviour of WIM. Through Arduino prototyping we explored vibration and light rhythms and created a harmonious sound library for a responsive, life like feeling. Building the prototypes, we learned how to refine both the character and training aspect of WIM and eventually had enough knowledge to build a functional prototype used to evaluate and communicate our concept. To refine the user senario and communicate our concept we created storyboards covering a day of a stroke patient and the interactions with WIM.